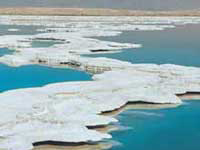 In connection to the Dead Sea there are several superlatives related, it is the lowest point on surface of earth, it is the saltiest natural water, and it‘s very rich in minerals due to its degree of concentration. Considering the fact that the Dead Sea is continually fed water from the rivers and streams coming down of the mountains that surround it. However no rivers drain out of the Dead Sea. The only way water gets out of the Sea is through evaporation. 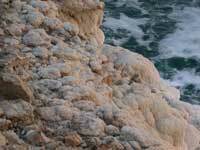 Therefore when the water evaporates, it leaves behind all the dissolved minerals in the Sea. In other words it's through the dual action of continuing evaporation and minerals and salt accumulation from the local rivers that makes the Sea shores so concentrated. The black mineral mud that is found in abundance on the shores of the Dead Sea has been shown to contain healing properties that are ideal for wide varieties of treatment. These unique products replenish and revitalize the skin, restoring its natural suppleness and moisture levels while alleviating and soothing soreness, redness, cracking and reinvigorating natural damage. 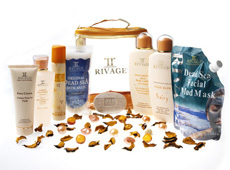 The mud minerals have the immediate effect of making your skin feel vital, refreshed, and clean. Do to the mix of magnesium, bromide and minerals, fine mud grains eliminate the excess oils and dead skin cells, by cleaning out toxins that build up in pores and allow the skin to breathe properly by peeling away dead skin cells, It also tightens the area’s most likely to develop wrinkles such as around the eyes, forehead and the corners of the mouth to reveal a more youthful, healthier skin layer. In addition to having vast improvement on your skin, it also naturally beneficial to helps treat and relieve some other ailments such as; arthritis, muscle stiffness and aches, rheumatism, joint inflammation and multiple skin disorders, due to its ability to improves blood circulation and nourish naturally profitable elements deep into the pores, that quickly generates thru the body. The human body needs anywhere from 1,500 to 2,300 milligrams of sodium per day. Sea salt is an unrefined salt that is produced when seawater is evaporated. Sea water is transfer into big outdoor pools and is then left under the Sun till all the water gets evaporated, and the remaining substance will be sea salt. Which is made out of 98% sodium chloride, and the other 2% is combination of other important natural minerals like iron, sulfur, magnesium and other trace elements. Table salt is heavily processed in comparison to the sea salt. 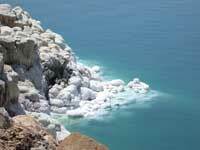 It is obtained from the terrestrial salt deposits which are mined, heat-blasted and chemically treated. Due to the process and packaging to prevent clumping it eliminates trace minerals, and is left with 99.9% sodium chloride. As a result of higher mineral content, sea salts are more flavoured than table salt, and better to consume since it works as a natural detoxifier and is naturally process.